PeaceBuilders Community, Inc. is committed to equip and train spiritual leaders, who have deep intimate relationship with God and deep passion to advance justice and peace, to lead this PAR Movement. Heart of a Servant. 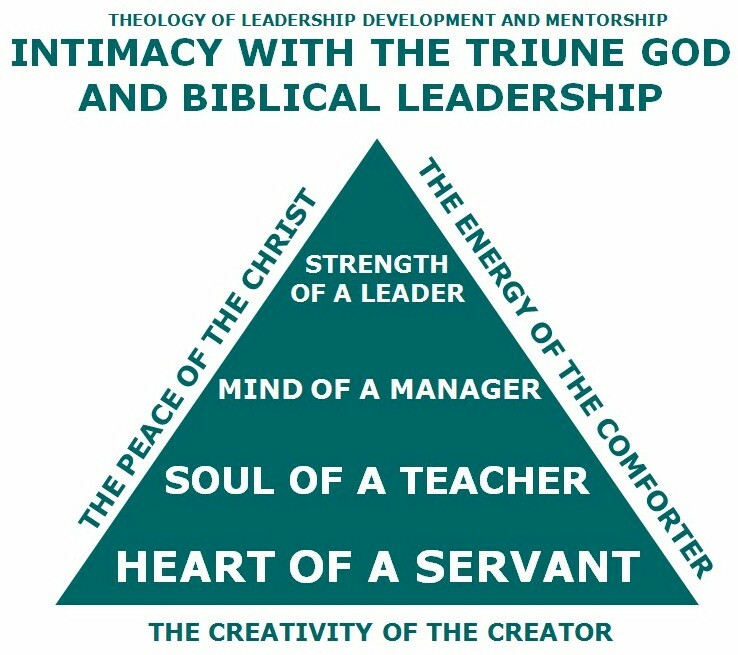 This is the foundation of biblical leadership (Mt. 20:20-28). Biblical leaders are servants who have been called, and who are willing, to lead. Biblical servanthood is motivated by Christ’s sacrificial love. The Lord Jesus Christ rejects mere position power as the basis of leadership in the Kingdom of God. Soul of a Teacher. God taught us about the DivineSelf through the life and work of the Lord Jesus Christ (Jn. 1:1-14). His very existence served as the object lesson of servant leadership (Jn. 13:1-17). Jesus Christ is the Great Teacher. Mind of a Manager. A manager accomplishes tasks through trained and disciplined people. Stewardship or management is crucial to our obedience in advancing the Kingdom of God. Jesus Christ taught His disciples how to strategize their ministry (Mt. 10) and how to manage their God-given resources (Mt. 25:14-20). He commissioned His followers that the Great Commandment — To Love God and Neighbors (Mt. 22:37-40) — is best accomplished through the Great Commission — making followers of Jesus Christ To Love God and Neighbors as Christians go about their daily lives, as they baptize, and as they teach (Mt. 28:18-20). Both the Great Commandment and the Great Commission are to be accomplished through multiplication of trained and committed followers who would also equip other followers (2 Tim. 2:2). Strength of a Leader. The strength of Christ’s leadership is His humility (Phil. 2:1-11). It is through life-giving servanthood and humility that we will experience effectiveness and stamina in leadership (Phil. 4:9). How would this kind of biblical leaders adopt to the realities of the 21st Century? Servant-leadership is one of those paradoxical concepts in the Bible. For Christians, Jesus Christ is the ultimate model of a servant-leader (Jn. 13: 1-17). While claiming to be the Supreme Authority in “heaven and on earth” (Matt. 28: 18), He rejects position power as the basis for leadership in the Kingdom of God (Matt. 20: 20-28). Servant-leadership is symbolized by the throne and the towel. He knew his cosmic authority: “that the Father had put all things under His power” (Jn. 13:3). That was the throne-symbol. Because of that ultimate sense of security, He was able to humble Himself to “wrap a towel around His waist” like a lowly servant, “to wash his disciples’ feet, drying them with the towel that was wrapped around Him” (Jn. 13: 4-5). That was the towel-symbol. Leadership Skills & Management Capability. Should they lead or should they manage? We will look for God-called and God-gifted women and men with people-and-vision skills that produce leadership. We will expose them to be familiar with managerial and technical skills that enhance operations. Moses was a leader who also learned to be a manager (Ex. 18). Nehemiah was a manager who learned to be a leader (Neh. 1-13). The Moses-type visionary leaders can produce the best strategy in the world, but if it is poorly executed the whole strategy will be futile. On the other hand, Nehemiah-type technical managers can have a superb implementation of the wrong strategy; this may lead to an orderly destruction. We need leaders who are willing to learn Nehemiah’s capability, or at least, willing to surround themselves with the best Nehemiahs. Creative Heart & Disciplined Mind. Should these leaders be creative or should they be analytical? A father trained his son to be an entrepreneurial leader. The son, when he started leading, can still hear his father’s words: “Be a free-thinker!” “Fly like an eagle!” The father was right. This attitude helped the son in his leadership and development ventures. Our leaders will have to be very creative and at the same time they have to make budget, develop and follow necessary corporate policies, adhere to government’s corporate laws, and be firm in leading their personnel to adhere to those relevant corporate policies and legal procedures. People-Oriented & Productivity-Driven. Should our leaders be people-relational or production-rational? Our leaders must be called to love people and to work cheerfully with people. They must love shepherding their people. They must have lots of energy encouraging their people. Our leaders must enjoy contributing to their workers’ growth and development as human beings. Our leaders must be energized when they are surrounded by people. But they also need to lead the people working with us to contribute 110%-productivity in the accomplishment of the tasks mandated to us by those who have entrusted their God-given resources to advocate for peace and reconciliation. Earning Trust & Implementing Change. Should our leaders spend time earning trust or save time implementing change? Earning trust means understanding the value of people—their memories, their contribution to the movement, their view of what is important, their perspective of significance and meaning. This takes intensive, disciplined listening. Successful change-agents usually find a “springboard for change” in people’s memories and value-systems. VisionStability & ChangeFlexibility. Should our leaders set their eyes on the vision, or focus their sight on the immediate task? An organization without a vision is like a ship that is well-kept, well-maintained, well-managed, and well-financed but without a clear destination or direction. However, we must learn that this vision of initiating a nation-wide peace and reconciliation ministry will only be effective when the yearly, monthly, and weekly goals are efficiently-managed, implemented and evaluated on a moment-by-moment basis. Yes, moment-by-moment evaluation. Day-to-day is not good enough. Weekly evaluation is too slow. Monthly evaluation is suicidal. Quarterly evaluation is dead. Effective leaders look at the horizon with bifocal lenses – VisionStability and ChangeFlexibility. Our leaders must initiate doing the right things. At the same time, they must wait for their team to be able to do things right. Our leaders must search for excellence in their personal accomplishments but always with respect to their team’s objective, and with an attitude of interdependence on their team-mates’ gifts and skills. “Where’d you get that?” the accountant asked, hoping the man would tell him a nearby shop had them. “He a marketing guy?” the accountant asked. Visionary leaders are similar to marketing directors. They have the tendency to expand their ministries—the ‘production’ and ‘distribution’ of their services. The paradox of postmodern leadership is not an “either/or thinking.” It actually is “both/and thinking.” This paradox is the reason why servant-leadership, despite the pain and hardships inherent in it, is a journey that is full of joy and gladness. The paradox of servant-leadership is relevant and needed in conflicted realities of the 21st Century. In the end, for us who claim to follow Jesus of Nazareth, the ultimate picture of paradoxical servant-leadership is Christ’s suffering and death at the cross, and the glory and majesty of His resurrection. The immediate focus of PeaceBuilders Community, Inc. is to prepare, equip, empower, and coach leaders to organize Peace and Reconciliation (PAR) Communities, both within and beyond the organizational boundaries of PBCI. The mid-term plan of PBCI is to establish one PAR Community in each of the 81 provinces in the Philippines by the end of 2025. The long-term vision of PBCI is to contribute to the attainment of peace and reconciliation in our land where worldviews and value systems are mutually respected and freely expressed in the context of a multicultural society. We are sent by Mennonite Church Canada Witness in partnership with our international community. © 2018 PeaceBuilders Community, Inc.